Home Windows, Huntersville, NC | G&S Contracting, Inc.
Sunrise Windows are some of the best rated and easiest to install home windows on the market today. Home Windows in Huntersville – The windows on a home are important in several ways. Not only are they an important aesthetic feature on the outside of a home, but they also serve multiple purposes on the inside of a living space. Home windows are more than just beautiful; they also offer protection, security, and improve the energy efficiency of a home from top to bottom. At G&S Contracting, we know you rely on your home windows, maybe even more than you think about on a day-to-day basis. That’s why it’s so important to have great windows installed in every room of your home to ensure that you are getting the most from these important additions. When you work with us to upgrade your home windows, you’ll find that we are knowledgeable about the best products on the market today and can secure your home with the proper installation. Home windows can feature a wide variety of options and specifications depending on your location, the manufacturer, and the business you use to shop for windows. Two types of certifications exist to help you understand the relative strengths and weaknesses of the various market offerings. Federal Energy Star certification is a national program that determines which windows and doors meet certain specifications for different climate regions in the United States. By understanding your region and the certification levels of the home windows you’re considering, you can tell which has a higher rating and will more effectively help your home maintain a constant temperature. These windows must eliminate draftiness, resist condensation, and diminish sound transmission. The NFRC, or National Fenestration Rating Council, is a group that provides unbiased ratings of home windows and doors on their energy performance, much like the EPA (Environmental Protection Agency) does for fuel economy on vehicles. This group provides data that helps consumers, retailers, and contractors know how much heat can be lost in the window, how much solar radiation is admitted during summer, how much light comes through the window, and how much air may leak or infiltrate through the window. When looking for windows, the higher visible transmittance numbers are preferred, with lower numbers preferred in all other categories. You’ll likely notice a difference in your home right away with newly installed windows, and you’ll also enjoy the energy savings that come with these high-quality features. Furthermore, upgrading to a product like Sunrise Windows gives you the opportunity to choose how you want to use your windows to enhance the quality and design style of your home. 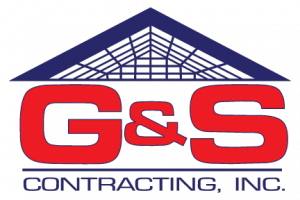 Just make sure to work with us at G&S Contracting so you can rest easy that you have a team that knows exactly how to get you the best results. Sunrise Windows are some of the best rated and easiest to install home windows on the market today. Because of their exceptional quality and function, our team at G&S Contracting, Inc. is proud to work with these windows for all of our clients in Huntersville, North Carolina area. Give us a call today! At G&S Contracting, Inc. we offer the highest quality Home Windows to our customers in North Carolina including: Huntersville, Cornelius, Davidson, Charlotte, Mooresville, and Lake Norman, North Carolina.